Over the next few days, temperatures in the Midwest will hit a new low, plummeting to almost -30 degrees by mid-week in some areas. Unfortunately, severe winter weather can seriously damage your home if you don’t take the proper precautions. 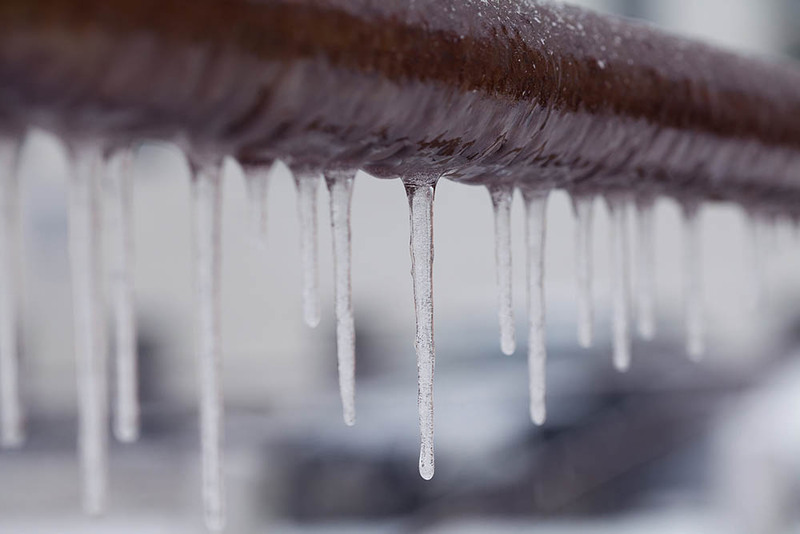 Read on for simple tips to prevent one of the most common causes of winter property damage: frozen pipes. Sometimes, the most effective solutions are also the most simple. Over the next few days, follow these tips to prevent frozen pipes. Tip #1: Keep your garage door closed. Tip #2: Disconnect garden hoses and shut off water leading to outside faucets. Tip #3: Open kitchen and bathroom cabinets to allow warm air to circulate to pipes within. Tip #4: Turn on faucets so that a trickle of cold or warm water flows out. Pipes in unheated interior spaces (like basements, attics, and garages) face the greatest risk of freezing and bursting. Here are two longer-term solutions to prepare pipes for Wisconsin’s next round of frigid temps. Tip #6: Insulate pipes in unheated spaces to protect them from the cold — the more insulation, the better! Tip #7: Seal cracks near where pipes are located. Even tiny cracks may let in enough cold air to freeze pipes. Despite your best efforts, your pipes may be no match against Mother Nature’s frozen fury. If your pipes have frozen — but haven’t yet burst — follow these tips to bring them back to life. Tip #8: If you turn on your faucet and no water flows out, keep the faucet turned on and call a plumber. Tip #9: Apply an electric heating pad, hair dryer, or space heater to the frozen section of the pipe (if you can access it). If all goes well, the water in the pipe will thaw and begin to flow freely. Be very cautious when attempting this tip – live electricity near any standing water can be dangerous. Tip #10: NEVER apply an open flame to a pipe in an effort to thaw it; you might end up starting a house fire (which certainly causes more damage than a burst pipe). Don’t panic, but move quickly. Turn off the main water source immediately. You’ll typically find it at the water meter or where the main pipe enters your home. Call a plumber and, if there’s damage, call your insurance agent. 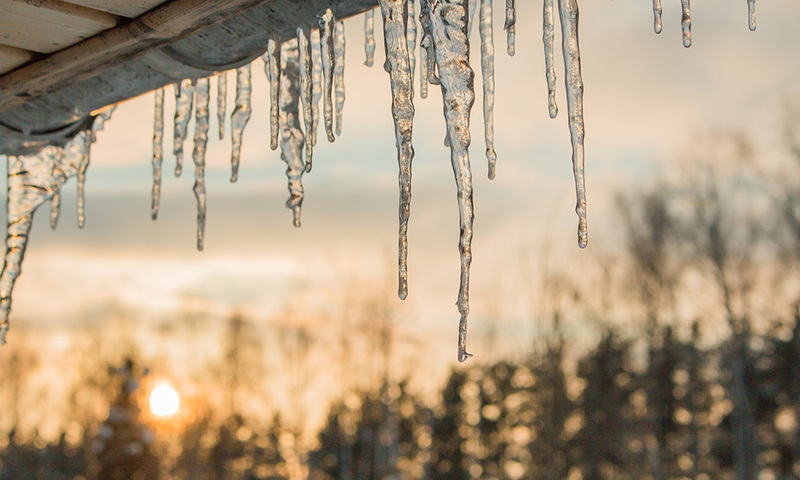 Aside from frozen pipes, there is one other winter weather risk that can pose extensive damage to your home — ice damming. Ice damming occurs when snow thaws and melts on your roof line and then freezes again, typically in your gutter. The result can be extremely damaging to your roof and your home if it is not taken care of. The water and ice backup causes the shingles on your roof to curl and when the ice melts again, the melted water can cause extensive damage to the interior walls of your home. To prevent ice damming, there are two simple DIY solutions you can try. First, use a large snow rake to get the snow off your roof as soon as possible. 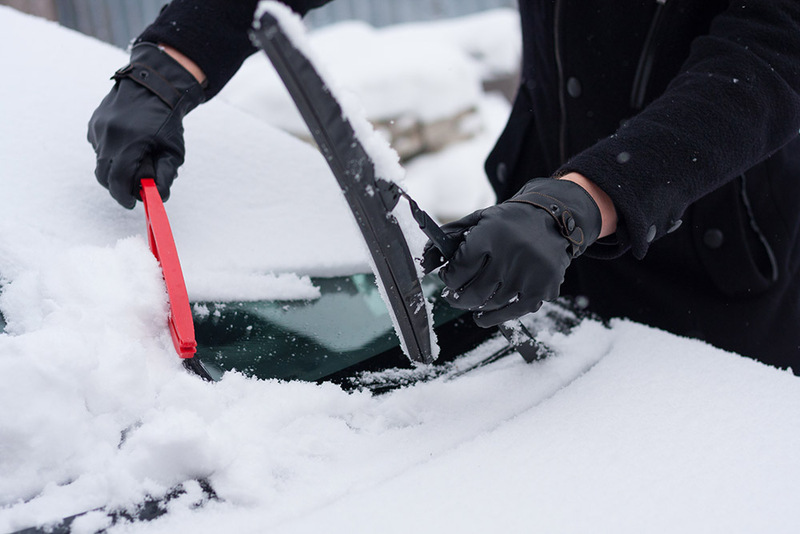 Be careful doing this, as large amounts of falling snow and ice can be dangerous. The second solution is to fill a stocking full with salt and place it near the drainpipe of your gutter. This can help melt the clog and get your gutter system flowing. If these options don’t work and you see ice damming occur, call a professional to handle the situation and clear the dam. Impending winter weather doesn’t have to mean doom and gloom when it comes to keeping your home up and running. Taking a few simple steps to winterize your home can make all the difference. Stay warm out there! S&K Pump and Plumbing, Inc.